Mr. Nadeem Paracha, or “NFP” as he is known, is a prominent Pakistani journalist and satirist, currently serving as head of ideas and creative strategy at Adcom Leo Burnett, an independent advertising agency. A widely read columnist who has commented on the rise of religious extremism and the importance of carrying forward Pakistan’s democratic experiment, he is a frequent contributor and cultural critic for the Dawn, Pakistan’s most popular English daily. In 2016, he published his first book, End of the Past, a social and cultural history of Pakistan, followed in 2017 by his second book, The Pakistan Anti-Hero. From 2010 to 2015, he served as head of media and commercial communications at the British Council, in Karachi. 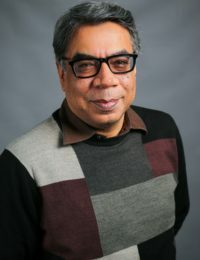 During his fellowship, Mr. Paracha traced the pluralistic and democratic roots of Muslim nationalism in Pakistan, a research project that culminated in articles intended to serve as a counterpoint to the dominant extremist narrative in the country.